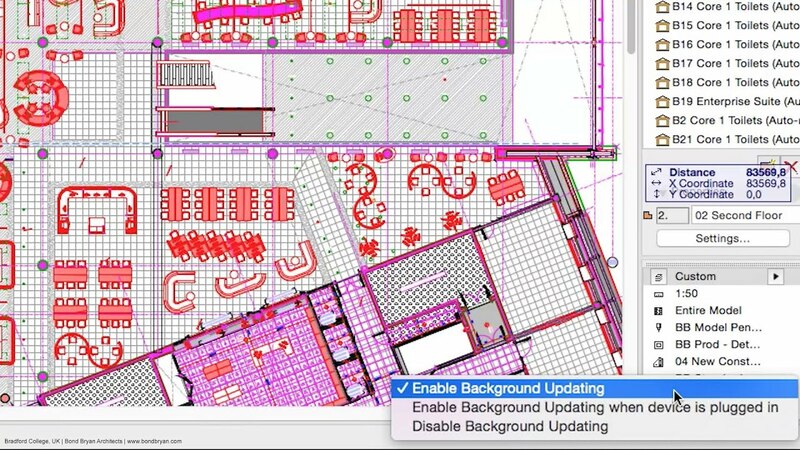 Only ARCHICAD 19 takes advantage of unused computer capacity by anticipating what you might do next and preparing for those actions in the background. This “second guessing” greatly increases the overall responsiveness of the application, so it feels more agile with projects of any kind or size. That’s the dramatic difference you’ll notice between this next- gen technology and standard BIM software without background processing. The results speak for themselves. 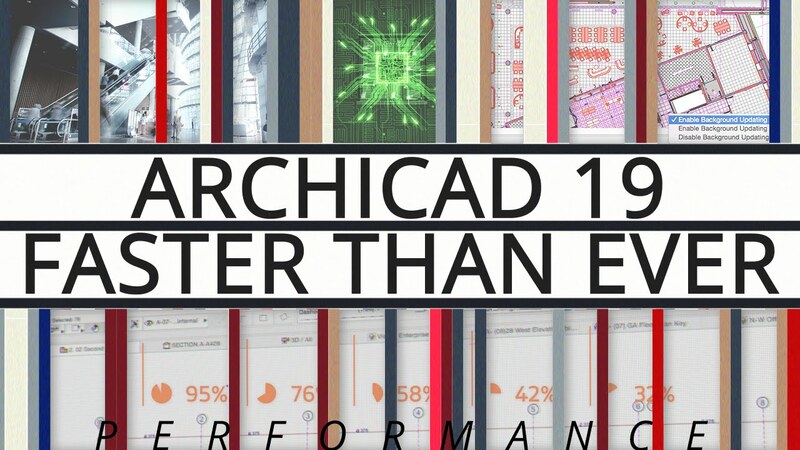 In ARCHICAD19, it takes up to 70% less time to open BIM-based 3D views – depending on the complexity of the design project and the workstation you’reu sing. And the opening time for all model-based sections, elevations or 3D Documents has dropped by up to 50%. Thanks to these innovations, opening and switching between various model views will happen almost instantly. No more waiting for a view to load. So you’ll save time and enjoy a smoother workflow. And you’ll be able to focus on design, instead of worrying about your workstation. By optimizing OpenGL, ARCHICAD 19 ensures smooth and lightning-fast navigation - even on extremely large building models. We know that architects like to use ARCHICAD’s 3D model window for informal client presentations. This model window uses the so-called “OpenGL” engine. 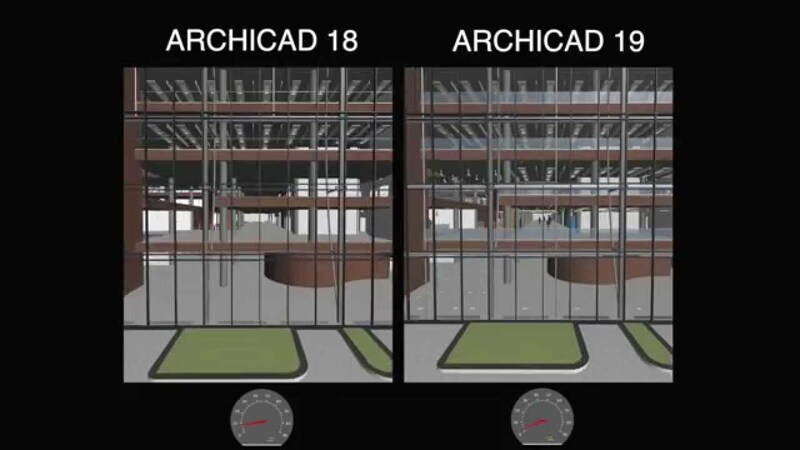 And because ARCHICAD 19 uses a fully optimized OpenGL engine, you’ll get smoother, faster 3D navigation, free from flickering—even with extremely large models.